Since 2008, OC In Home Care has been providing non-medical home care services to families across Orange County, California. We are committed to giving families the peace of mind that comes with knowing that their loved one is receiving the best in-home care services in the area. As the Top Rated Local® non-medical home care agency in Orange County, it is our mission to help the elderly continue to live at home safely and comfortably, and our caregivers are passionate about making it happen. For over a decade, our caregivers have made it a priority to create a culture of trust, integrity, and professionalism to positively affect not only those we work with, but those we care for. When it comes to looking after your senior family members as they continue to live in the comfort of their own homes, you need to be absolutely sure the caretakers are trustworthy and know what they’re doing. That’s why our in-home care providers must first pass a detailed screening process and go through rigorous and thorough training before providing elderly care. As a result, we’re able to offer personalized care that precisely fits your loved one’s needs and includes everything from assistance with activities of daily living like laundry and pet care to Alzheimer’s care and mobility assistance. Most of our clients have lived in their homes for decades and have no desire to relocate. By remaining at home, they’re statistically more likely to be healthier, happier, and have the will to make the most of their lives. At OC In Home Care, we do what’s necessary to make our clients’ homes a safe and comfortable place, whether that means assisting with meal preparation or helping them go up and down the stairs. 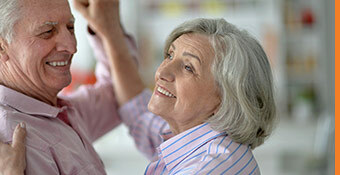 To schedule a free consultation and form an in-home care plan with our caregivers, contact us online or by phone today. We look forward to meeting you and your loved one!